Taipei Rapid Transit Corporation announced that the newly completed MRT Dingpu Station will be opened to the public starting 6 AM on July 6! According to the Department of Rapid Transit Systems (DORTS), the addition of the new station brings the total number of stations on the Bannan Line to 23. This also boosts the total number of MRT stations to 117 and extends the entire length of the metro system to 131.1 kilometers. The agency pointed out that the new station will connect the major science parks in Taipei and New Taipei, with Dingpu Science Park/Tucheng Industrial Park on one end and the Nangang Software Park on the other end. DORTS remarked that the frequency of service along the Bannan Line will remain the same: train service every 6 minutes during rush hour and every 8 minutes during off-peak hours. With the opening of the new MRT station, the required time for traveling between MRT Dingpu Station and MRT Taipei Main Station will take approximately 30 minutes. 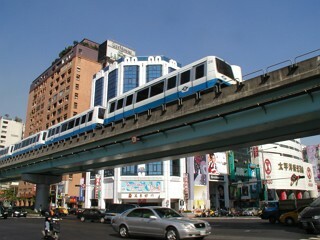 Taipei Rapid Transit Corporation expects MRT Dingpu Station to serve an average of 10,000 passengers per day, boosting the daily average number of passengers taking the Bannan Line to 17,000.